Boat charters offer one of the best ways to explore the beautiful Costa Blanca coastline. 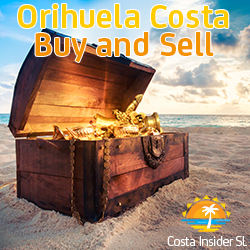 There is a fantastic coastal path that runs all the way from Torrevieja to the far border of Orihuela Costa. This gives visitors a great aspect of the coast from the shore with wonderful views along the way. However, to fully appreciate the sheer diversity of the coastline, you can’t beat the views from the sea. Boat charters allow you and your friends to choose a variety of adventures. 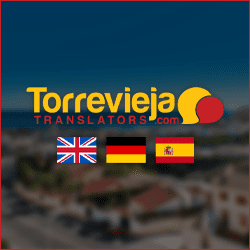 Many visitors to Torrevieja don’t even consider arranging a boat charter. The simple fact is, they see big dollar signs. Agreeably, berthing and maintenance fees are high. So are the fees for your skipper and fuel. However, when chartering a boat with the full capacity of passengers the cost is not really that bad. Consider what you pay for a 15 minute ride on a jet ski. Even more costly is a 20 minute session on a flyboard. All in all, chartering a boat for a full or half day when the cost is split between 10 or 12 people works out a lot cheaper than you think. Charter boat Volante is owned and run by skipper Kevin, a fully qualified sailor with over 30 years experience at the helm. Volante is a sturdy and stable British built Blyth 33′ catamaran. It boasts all the necessities for a fun and safe day out on the water. There are on-board ablutions, cabin and covered deck seating areas, as well as a fully equipped galley kitchen. The cockpit is equipped with the latest electronic fishing and navigation aids. Safety equipment is of the highest standard and there are life jackets and lifeboats on board. Aside from family fun boat charters, Kevin runs a variety of fishing charters to various fishing grounds along the coast. Situated 3 miles off the cape of Santa Pola, the island of Tabarca offers a world of adventure. Tabarca was declared a protected marine reserve and bird sanctuary in 1986. Due to this the waters are crystal clear and the flora & fauna pristine and abundant. After a meet and greet in the morning, it’s all aboard for the hour’s journey from Torrevieja harbour. Upon reaching Tabarca the boat anchors in a sandy bay. This is within an easy swim to the beach. For the rest of the day Volante acts as a floating platform for fun in the sun. Passengers are free to swim, snorkel, sunbath, explore the island or enjoy a delicious meal in one of the island’s famous seafood restaurants. Alternately you can bring along a picnic lunch. On-board BBQ facilities are also available for a small fee. BBQ packs are available for 5€ – 8€ per head. On the journey back to port it is possible to stop for a bit of fishing over one of the shipwrecks. Once closer to port it’s time for some fun on the inflatable doughnut. Volante arrives back at berth in Torrevieja harbour between 15:30 and 16:00. This really is a full day of great fun and adventure all the family will remember. Included in the trip are tea, coffee, water, beer and soft drinks. Wine is included with the BBQ packages. Total price for up to 12 passengers including skipper, fuel and taxes is 800€. This is a similar trip to the Tabarca Island charter but closer to port. After a meet and greet in the morning the boat follows the coastline to a sheltered bay. Here passengers can enjoy the day swimming and snorkelling or just chill out on the boat or beach. There is also the chance to try your hand at a bit of fishing. Young ones can have fun on the inflatable doughnut. The boat returns back to port about 5 hours after the morning departure. Included in the trip are the services of the skipper, fuel, taxes and hot and cold drinks. Total price for the day for up to 12 passengers is 650€. How about enjoying an evening to remember with friends or family accompanied by a delicious BBQ. 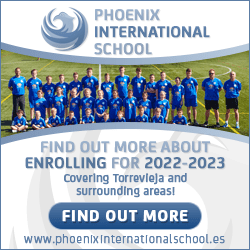 The boat leaves Torrevieja harbour between 18:00 and 19:00. Once out of port it’s a cruise along the coast to a quiet sheltered bay. After dropping anchor passengers can chill out and watch the sunset or swim and snorkel. Once passengers have worked up an appetite, it’s time to spark up the BBQ. A variety of meats, salad garnish and bread is included. Beer, wine and soft drinks are also included. Total trip time is around 3 hours. Price for up to 10 persons including skipper, fuel, taxes, food and drink is 500€. Charter boat Volante is available to rent at an hourly rate. This allows passengers to customise their day to suit them. 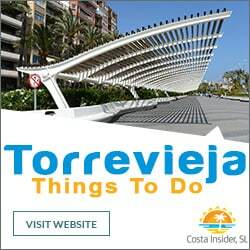 The Torrevieja coastline is yours to cruise, swim, snorkel or fish. The boat is available for a minimum of 3 hours. Price for up to 12 passengers is 150€ per hour. The boat is also available for those wishing to scatter a loved ones ashes at sea. Please Note: All charter itineraries and prices may be subject to change. 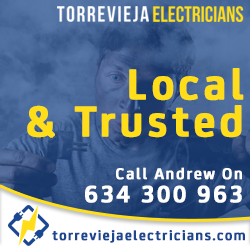 Sea fishing has been in the blood of Torrevieja’s local community for centuries. 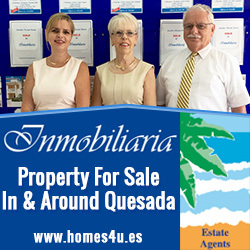 Torrevieja started life as a small fishing village and its close affinity with the sea remains to this day. There are still fleets of fishing boats supplying the ever increasing demand from the city’s markets and restaurants.